It’s no surprise that when Respawn Entertainment’s new Battle Royale launched earlier this month, there were a lot of players deciding on playing Apex Legends or Epic Games’ hugely popular Fornite. Whatever game you decide to play is fair enough, however, the popularity of Apex Legends hasn’t gone unnoticed it seems. 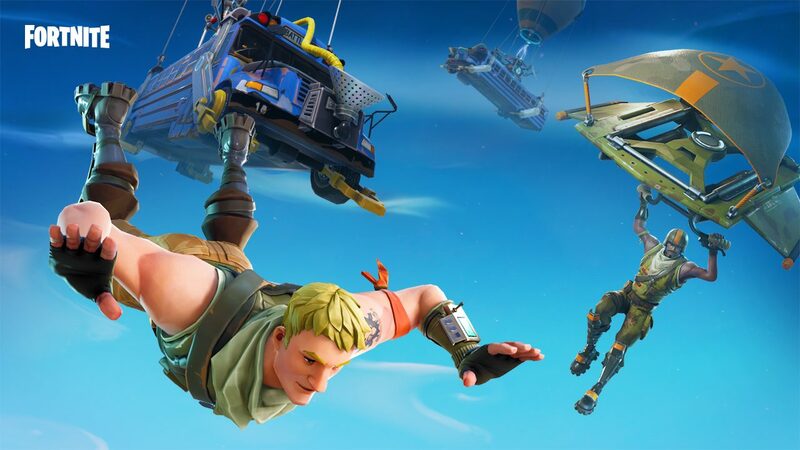 Fortnite developer Epic Games often runs a Reddit Q&A, the most recent one took place last week on February 22, and it’s filled with lots of questions being answered. For example, they confirmed that there are no plans to make the game run at 60fps on the Nintendo Switch, they also have no plans to bring back the double shotgun due to its sheer power. It’ll be interesting to see how Fortnite handles respawning. Currently, after bleeding out while waiting to be revived, dying in the game results in you being sent back to the lobby to find another match. However, Apex Legends allows you to turn into a crate containing a type of device that your teammates can pick up and transport to the nearest respawn beacon. It’s a feature that was praised a fair amount on social media but also has led to people ranting about how other players don’t bother even picking up the device and just leave you to be dead. Lifelessly watching them continue as you feel betrayed, and hurt, and dismayed. It sounds like Epic Games has been working on a similar mechanic, especially given the wording of the answer which comes across as if it was being considered before Apex Legends’ arrival. We did also see Epic Games Executive Mark Rein congratulate the developers of Apex Legends, but that Tweet was soon deleted. I guess we’ll find out how Fortnite will incorporate this mechanic into the game if it does launch during the upcoming eighth season. Which we’ve seemingly seen a pirate theme being teased. Fortnite is available for pretty much everything. Xbox One, PS4, PC, Nintendo Switch, iOS, and Android, and we’re due to see Season 8 land on February 28.